The Healthline GN34 Aloe Vera Powder-Free Latex Examination Gloves are high-quality speciality latex gloves that are coated with Aloe Vera to keep the wearer's hands hydrated and soft. A flexible formulation makes these natural rubber latex gloves both durable and flexible, providing reliable hand protection that feels and fits like a second skin. 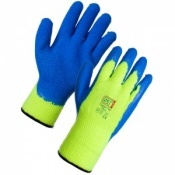 The Healthline GN34 Gloves are manufactured from natural rubber latex, which makes them strong and resilient. A beaded cuff adds further strength to these medical-grade examination gloves, which have a typical force at break of 6 Newtons throughout their three year shelf life. The Aloe Vera coating on the inside of the GN34 Gloves moisturises and hydrates skin to keep it soft and healthy. 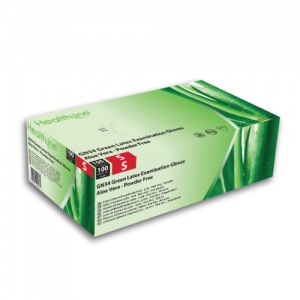 It also effectively soothes and treats chapped and cracked skin. The GN34 Gloves have a textured surface, which provides the users with improved grip. This is particularly advantageous during procedures where implements need to be handled and where precision is required. The GN34 Gloves are low in protein and powder-free, minimising the risk of contamination. Their beaded cuff not only adds extra strength, but also makes for easier donning. The green colour of the GN34 Gloves makes them ideal for environments where colour coding is used to reduce the risk of contamination. 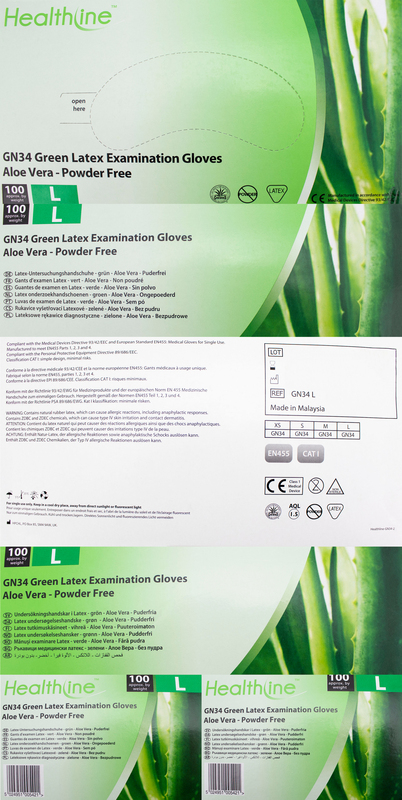 These single-use, non-sterile gloves are suitable for general examinations carried out by doctors, dentists and vets. They have many other applications including (but not limited to) domestic cleaning, care home duties, customs and product inspections, tattooing, airport security searches and sorting and recycling of household rubbish. 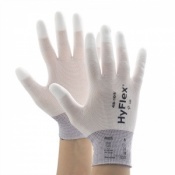 The Healthline GN34 Gloves available in sizes Small, Medium and Large. Each size has a minimum length of 240mm. 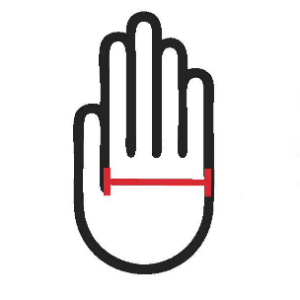 Find the right size for your hands by measuring across the widest part of your palm, as shown below. Then refer to the sizing table underneath to select the appropriate size. Allergy Warning: While the low latex protein content of these gloves reduces the risk of allergic reaction, use of these gloves can stil result in allergic responses in individuals with sensitive skin. 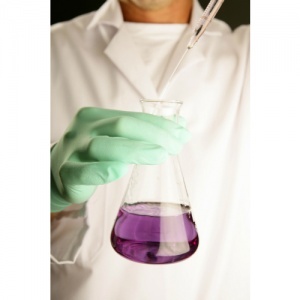 In addition, these gloves contain ZDBC and ZDEC chemicals, which can cause type IV skin irritation in some users.